Mike over at Vox Political yesterday also put up a very good article about a piece in the Huffington Post. This article claimed that leaked emails from Corbyn’s office showed how paranoid the Labour leader was, because his campaign manager, John Lansman, had attacked the Mirror, Guardian, New Statesman and Channel 4 as hostile outlets, who could not be trusted. The three papers and TV channel had offered to hold hustings debates between Owen Smith and Corbyn. Mike makes the point in his article that Corbyn and Lansman aren’t actually paranoid about turning them down. All of these organisations have been hostile to Corbyn, including the Huffington Post itself. They aren’t impartial and can’t be trusted as moderators. He also shows how the press distorts any pro-Corbyn message by pointing to the way Billy Bragg was treated by the Times, Mail, Express and Metro. Rather than undermining Corbyn, this may have the opposite effect of further isolating and undermining the press. 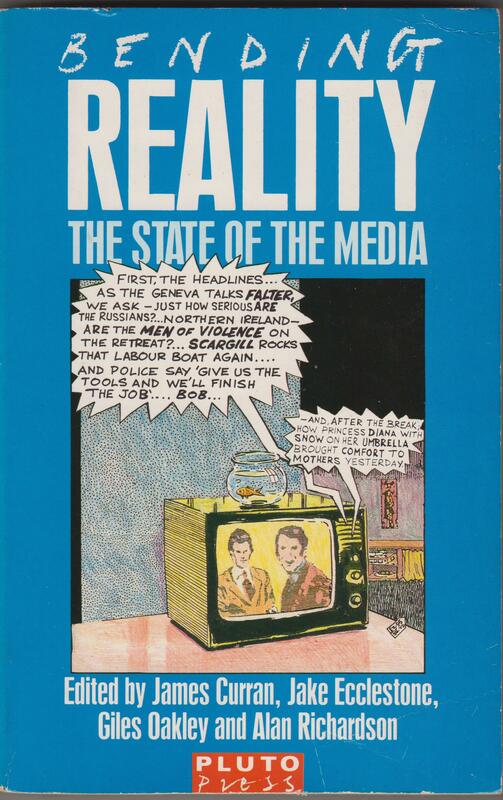 James Curran and Jean Seaton in their Power Without Responsibility: The Press and Broadcasting in Britain (London: Routledge 1987) point out that large corporate conglomerates purchased many of the newspaper chains in order to influence public policy in their favour. But the press is in serious decline. It’s threatened by the rise of social media and bloggers. People are getting their news from other sources, and the reaction of the established old media is defensive. I’ve commented before about how journalists and news people, including those in the Beeb, have huffed at the supposed threat to journalistic standards by the rise of independent media, and warned that this is a dire threat to society as it will break up the social consensus provided by the major news outlets. Which is a frank admission that they’re very worried about the decline in their power and ability to influence public thinking towards what they see as the correct view. Obama was credited as winning the election that thrust him into the White House eight years ago largely through support on the internet. This was put forward on British television by the American comedian Reginald D. Hunter at the time. Mike’s also blogged about a piece on the Skwawkbox blog, pointing out how well Corbyn has done by cutting the Tories’ lead from 16 points to five when the entire press is against him, arguing that the Fourth Estate has shot itself in the foot. See: http://voxpoliticalonline.com/2016/08/18/as-corbyns-labour-closes-to-five-points-has-the-establishment-shot-itself-in-the-foot-the-skwawkbox-blog/ and follow the link to the original article. Corbyn is therefore a major threat to the media’s corporate power. They depend for much of their income on advertising. One of the radical Labour papers that folded in the 1950s/60s did so because, as a working class paper, it couldn’t attract the advertising it needed to keep itself afloat. At the time it had 1.25 million readers, which was five times more than the Times. The section in Curran and Seaton on this issue in the above book. The circulation of the Times and Torygraph is rapidly plummeting to the million level, if it hasn’t done so already. The Torygraph has shed reader at a colossal rate, not least because of the shameless way it distorts content to please the advertisers. If Corbyn gets re-elected as leader of the Labour party, as it’s almost certain he will, this would demonstrate the increasing inability of the press to influence politics. And if, as I sincerely hope, he becomes Prime Minister, then that’s it. It’ll show just how impotent the press and broadcasting corporations have become. And they will suffer for it. Advertisers will probably want reductions in the fees charged because their proven inability to influence the population as they claim. They will also find themselves treated much less seriously as sources of news and information by the rest of the population, which will really damage their sense of importance. In short, the press has far more to lose from being ignored by Corbyn than he has. And as this carries on, their desperation will become very evident.